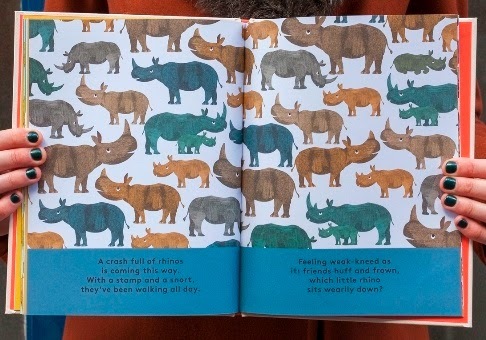 New from Big Picture Press, The Odd One Out by Britta Teckentrup just might be their smallest book yet, in terms of trim size, but it is every bit as visually stunning and fantastically fun as every other book they have published since launching last year! With The Odd One Out, Teckentrup presents readers with yet another look-and-find book, but one that is markedly different from the equally wonderful Busy Bunny Days: In the Town, On the Farm & At the Port. 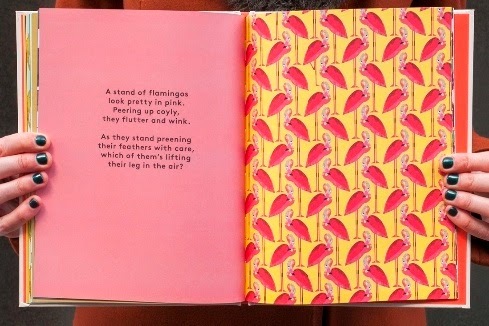 In The Odd One Out, Teckentrup gives readers two rhyming quatrains that set the stage for the animals in the illustration and provide a clue as to where to find the odd one out. 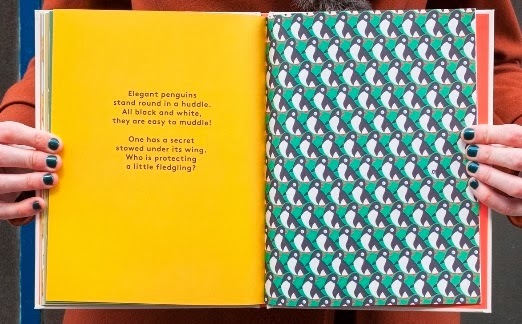 As the pages progress, the animals presented become smaller and more numerous, making it that much harder to find the odd one out. 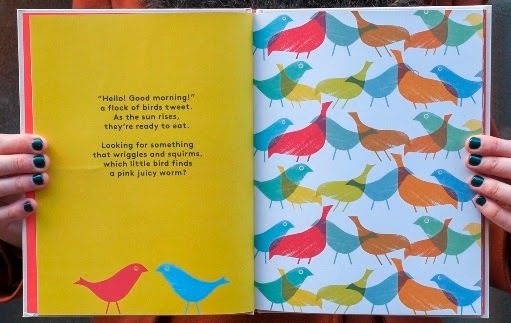 The penultimate page of the book has a flock of butterflies that is almost mind boggling - until you know what you're looking for! 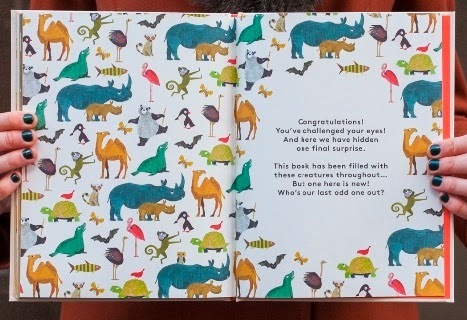 And, saving the hardest for last, Teckentrup's two page spread features all the animals in The Odd One Out and one new one to discover!